Mish's Global Economic Trend Analysis: From ZIRP to NIRP: Virtues of Germany vs. the Vices of Greece; What About "Speece" and Gold? 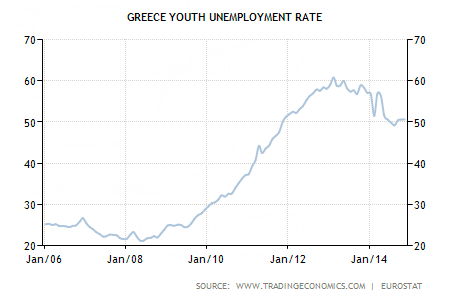 From ZIRP to NIRP: Virtues of Germany vs. the Vices of Greece; What About "Speece" and Gold? "Speece" (my term for the Southern eurozone deficit countries of Spain, Greece, Portugal etc.) made many mistakes, but so did Germany. It's logically impossible to believe "Speece" was a horrendously imprudent borrower, while simultaneously holding the view that Germany was a prudent lender. Some snips from this post are from an email from Michael Pettis at Global Source Partners. Pettis' email contained a 32 page PDF that I will attempt to condense down to a couple pages, while adding a few pages of my own on topics he missed or went over lightly. In regards to comments from Pettis, he says "As my regular readers know, I generally refer to the two different groups of creditor and debtor countries as 'Germany' and 'Spain', the former for obvious reasons and the latter because I was born and grew up there, and it is the country I know best. Thus any comment from Pettis on "Spain" may mean "any eurozone debtor" and any comment on "Germany" may mean "any eurozone creditor". I occasionally use the term "Speece" in the same way. In context, sometimes Pettis says "Spain" and means "Spain". It's usually clear. On February 27, the German Bundestag approved Greece's bailout extension request, but acrimony remains high. And during the intense negotiations between Greece and Germany ahead of this vote, the parliamentary caucus leader of German Chancellor Angela Merkel’s Christian Democrats, Volker Kauder, told reporters "Germany bears no responsibility for what happened in Greece. The new prime minister must recognize that." Does Kauder really believe Germany has "no" responsibility? Does finance minister Wolfgang Schäuble who has made similar-sounding statements believe that? It wasn't just Spain. 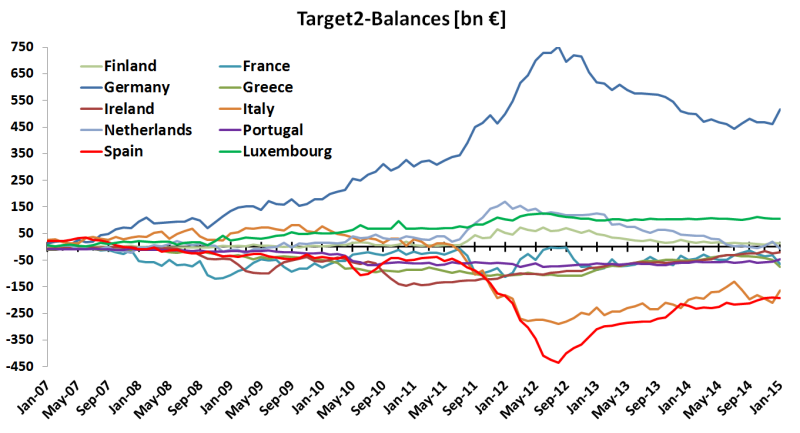 In the 2005-09 period, a number of peripheral European countries experienced net inflows of similar magnitude. From the push-pull interest rate point of view, the "blame Germany" crowd has the better argument. Was there really a choice? Did Speece make these mistakes acting alone or because of "venality of its leaders". Because German capital flows to Spain ensured that Spanish inflation exceeded German inflation, lending rates that may have been "reasonable" in Germany were extremely low in Spain, perhaps even negative in real terms. With German, Spanish, and other banks offering nearly unlimited amounts of extremely cheap credit to all takers in Spain, the fact that some of these borrowers were terribly irresponsible was not a Spanish "choice". Couldn't Spain have refused to accept the cheap credit, and so would not have suffered from speculative market excesses, poor investment, and the collapse in the savings rate? "There is no such a decision-maker as 'Spain'. As long as a country has a large number of individuals, households, and business entities, it does not require uniform irresponsibility, or even majority irresponsibility, for the economy to misuse unlimited credit at excessively low interest rates. The experience of Germany after 1871 suggests that it is nearly impossible to prevent a massive capital inflow form destabilizing domestic markets." Instead, the ECB had an interest rate policy best described in my opinion as "one size fits Germany". It is a reflection of capital flight from the "Club-Med" countries in Southern Europe (Greece, Spain, and Italy) to banks in Northern Europe. Pater Tenebrarum at the Acting Man blog provides this easy to understand example: "Spain imports German goods, but no Spanish goods or capital have been acquired by any private party in Germany in return. The only thing that has been 'acquired' is an IOU issued by the Spanish commercial bank to the Bank of Spain in return for funding the payment." Also, if people in "Speece" no longer trust their banks, they pull their deposits and park them elsewhere. ​The EU’s loans to Greece, Ireland and Portugal are just the tip of the iceberg of a fledgling transfer system that is creeping into the eurozone via the back door. A far bigger and implicit subsidy is growing beneath the surface in the form of TARGET2. 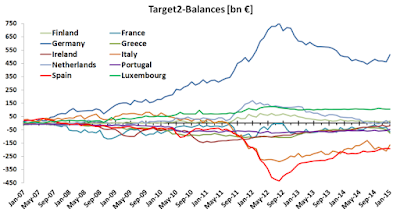 The ECB treats all of these surpluses and deficits as if they were equal and as if they don't matter. Clearly they are not equal, and they do matter. It's not entirely true that attitudes played no role in this mess. Germans tend to view things quite differently because of their experience with hyperinflation in the 1920s. 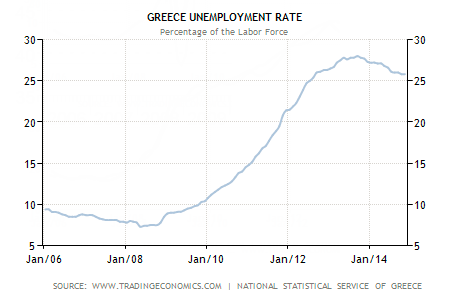 Greece lied to get into the eurozone. But every country knew Greece lied. If they didn't, they should have. And if Germany knew Greece lied, who gets the bigger share of the blame? 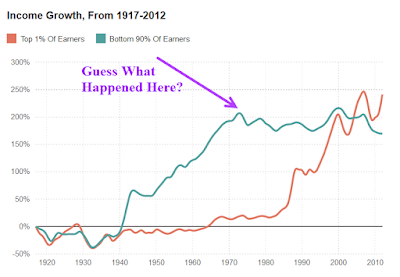 For example, please consider Actually, There Is A Gold Standard Today, And It's Causing An Economic Catastrophe. In the US, we see chronic trade imbalances with China, Japan, and oil producers. We also see constant bickering as to whether or not to label China a "currency manipulator". The European Financial Stability System (EFSF), was created in 2010 as a "temporary" crisis resolution mechanism. The EFSF provided financial assistance to Ireland, Portugal and Greece. The ESM is supposedly a "permanent" crisis resolution mechanism. The ESM has provided loans to Spain and Cyprus. The problem with "risk sharing" is that every county is partially responsible for problems elsewhere. 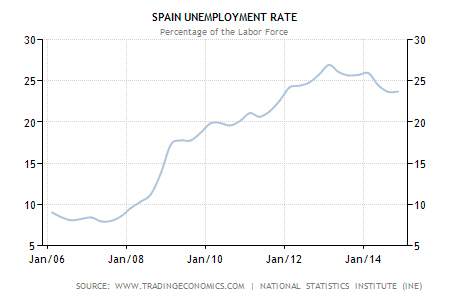 In short, Spain is partially responsible for Greece, and vice versa. 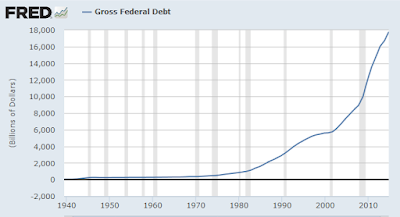 This can lead to cascade effects if a country defaults on bailout obligation. Let's return to a statement Pettis made much earlier: To the extent that the European crisis is seen as a struggle between the prudent countries and the irresponsible countries, it is extremely unlikely that Europeans will be willing to pay the cost. Most have attitudes at the top. I have attitudes at the bottom. I suppose one could summarize points 1-5 simply as the "eurozone flaws" or the "euro" but each is worth discussing separately. Pettis says "Even if the question of who is to blame, Greece or Germany, were an important one, the answer would not change the debt dynamics." How do we know Greece cannot pay back the existing debt? The market tells us so. Ironically, by the time the market makes it clear there is a huge problem (yields soar for example), it's too late to do much of anything but assign costs. Said Pettis, "My friend Hans Humes, from Greylock Capital, has been involved in more sovereign debt restructurings than I can remember, and he once told me with weary disgust that while it is usually pretty easy to guess what the ultimate deal will look like within the first few days of negotiation, it still takes months or even years of squabbling and bitter arguing before getting there. We cannot forget however that each month of delay will be far more costly to Greece and her people than we might at first assume." 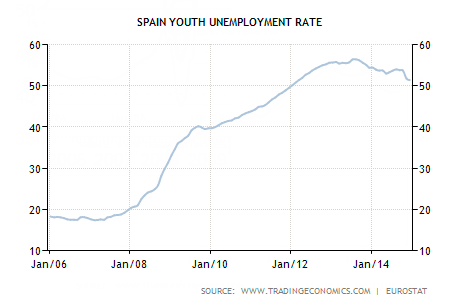 'virtuous' countries, it strikes me that Madrid is probably moving in the wrong direction economically. Ultimately, by tying itself even more tightly to the interests of the creditors, Rajoy and his associates are only making the electoral prospects for Podemos all the brighter," said Pettis. Prime minister Rajoy responded "We are not responsible for the frustration generated by the radical Greek left that promised the Greeks something it couldn’t deliver on." Check out the rise of "extreme parties". Will Greece go along? 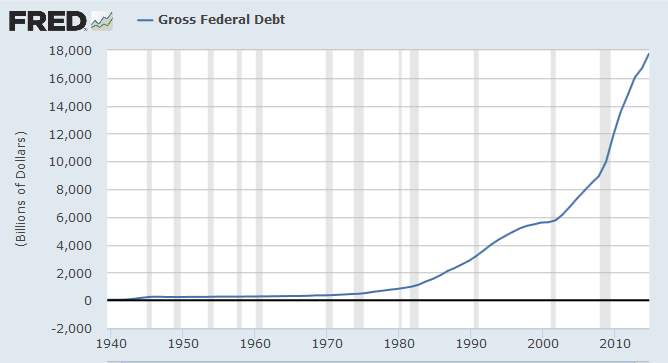 Slim chance, unless "bailout" truly means bailout, not more debt. Pettis says "Europe must decide if this [debt forgiveness] is a cost worth paying (and I think it is)." I do not believe it's that simple (and that is not by any means simple). Here's a better way of looking at things: "Is the euro so fundamentally flawed, and tensions so high that the euro cannot possibly be saved at all?" There are no other realistic choices. Interestingly, none of them fixes the fundamental problem of "no enforcement mechanism" anywhere in the world. Let's turn now to the source of that particular problem. The last semblance of enforcement mechanisms vanished when Nixon "temporarily" closed the gold window in 1971, refusing to let foreign central banks redeem their dollars for gold. Nothing is in place anywhere to stop "beggar thy neighbor", competitive currency debasement, competitive QE, negative interest rates, and all sorts of other amazing distortions brought about by central bank policies in general, not just in Europe. History suggests nothing will happen until there's a crisis. In their inane attempt to prevent consumer price deflation, the world's central banks have spawned massive asset bubbles in equities, junk bonds, and housing. Good luck when the bubbles pop. Let's hope the next crisis is handled better than the last one.